Summer inspires us about what is fresh and cool. So, when the summer comes, we tend to fresh things to make the hot weather cooler. There is no exception in WordPress themes design and development field. We easily see a steep rise of the cool theme in some popular niches like Organic, planter store and yoga & fitness center in this summer. The article will handpick you best 9 WordPress themes perfectly fit the need. Start your cool summer with amazing planter store themes, guys! Green must cool your summer! And we are gonna explore 3 gardens with various trees inside. We are mentioning to a green store which selling plants and other related products like seeding, or plating services like gardening, landscaping. 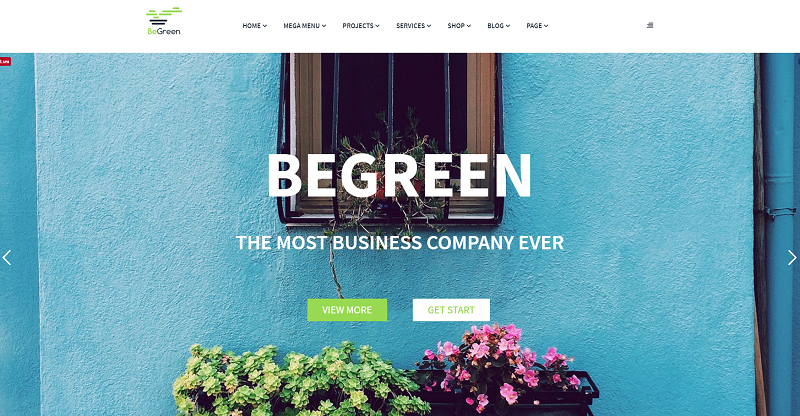 BeGreen is a complete solution for running planter store or landscaping and gardening services which gives anyone opportunities to create their own website for a creative and trendy look due to premium integrations supplied and modern design features updated. Plus, you can enjoy the building time with the WPBakery Page Builder which dedicates users the drag & drop builder, just like playing with the theme until the site is completely set up. Planter is the second theme we are gonna to talk about. The theme also suits every Gardening, Landscaping Companies, Lawn Services and all kind of Gardening Business websites. During the building time, users will feel easy and convenient to build up a beautiful and cool planter store with Visual Composer and slider revolution integration. 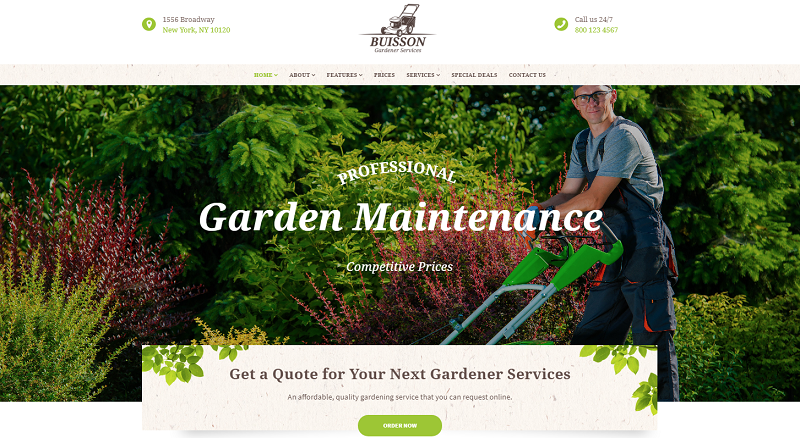 Another gardening theme comes with us is Buisson which is a light and clean WP theme for gardening business, a landscaping company, gardener, exterior designer, and other related things. And the integration of WPBakery Page Builder also empower the theme and attract more customers in using. 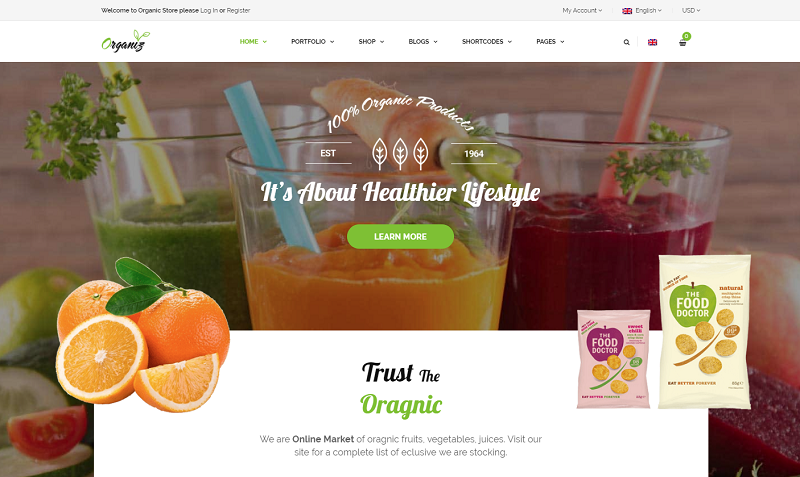 Don’t forget these below amazing organic store WordPress themes! We witness a rise in setting up online organic stores in summer, so the organic store is an indispensable factor we will note here. First of the amazing list, Organisk will be the list for a new inspiration the theme will bring for you. The organic Woocommerce theme stands out among others and allows users building up and managing their organic stores easily through the stores contain too many types of organic products. The WooCommerce integration will support users essential elements for a professional shop including mini-cart, grid and list product view, optional view, filter by price, add to wish list and so on. Also, WPBakery Page Builder (save $46) and Revolution Slider (save $25) will be effective supporters for you during the crafting time with Organisk. 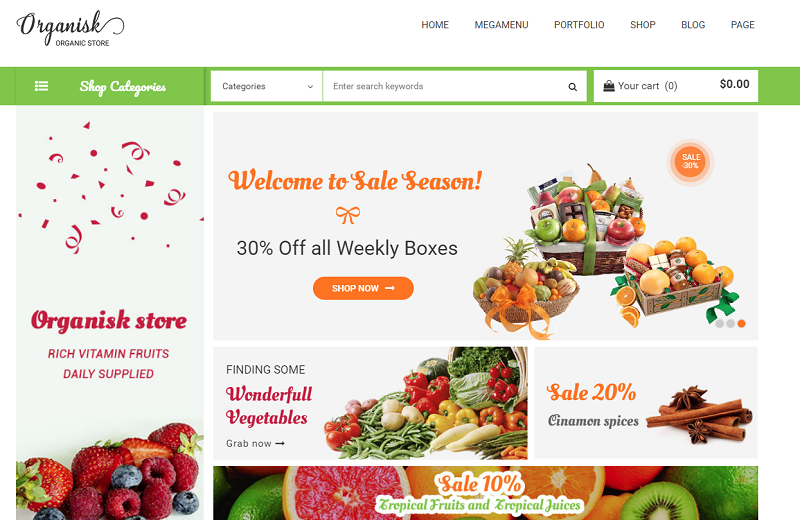 Being in the top of organic store field, we cannot mention to Organici which is an advanced WordPress theme that perfectly designed and developed for all kinds of Organic Store, including organic food, organic fruits, and vegetables, organic bakery, organic farm, coffee, cosmetic, etc. The theme stands out by containing all essential elements for a complete organic store and unique features like special boxes as well as great experiences like powerful backend interface, customizable and easy to use. Flexible settings, Fast loading, Fully responsive, Retina-ready, Live theme customizer, SEO Friendly, One click demo, WooCommerce Built-in, etc. Finding a good theme for building up a professional store to sell organic products, Organiz also is a good option. The theme attracts customers by the simple and elegant design but still powerful with the integration of WooCommerce, Revolution slider, Visual Composer. Also, you will find some different features in the theme with Grid plus and more option sin colors. How about Yoga, fitness & health center themes? Yoga, fitness & health center seems to be the hottest keyword in the summer that is double in the need of joining. Follow this trend we see a large number of yoga and fitness center theme to meet the requirements. BeHealth will be the first inspiration with more new features integrated and the catchy design. Deeply touch on Yoga field, the light theme integrates Timetable Responsive Schedule, BMI Calculator shortcode adding and The Calendar Event Plugin. BeHealth supports Everything Yoga center builder’s need. The theme is a balance between functional elements and rich information content creating for Yoga and fitness builders a new innovation to start effective businesses. Plus, users find an easy way to customize their sites due to well-rooted admin panel and all essential back-end options. Yogi is one of top Yoga center themes since being launched. Which is perfectly designed for any event, spa, wellness, fitness, and health beauty training related website. The theme attracts a large number of users thanks to the beautiful design and being empowered by HealCode, compatible with MINDBODY which allow users to easily get a class list, schedule, pricing and redirect your visitor to check out on MINDBODY website. “I really like the theme, it works well for a growing yoga business…”, “Customer support and design quality are great!” are kind words that Yogi Customers said about the theme. So, if you are gonna to do a Yoga business, Yogi should be the first destination. Such a beautiful theme – Hermosa! 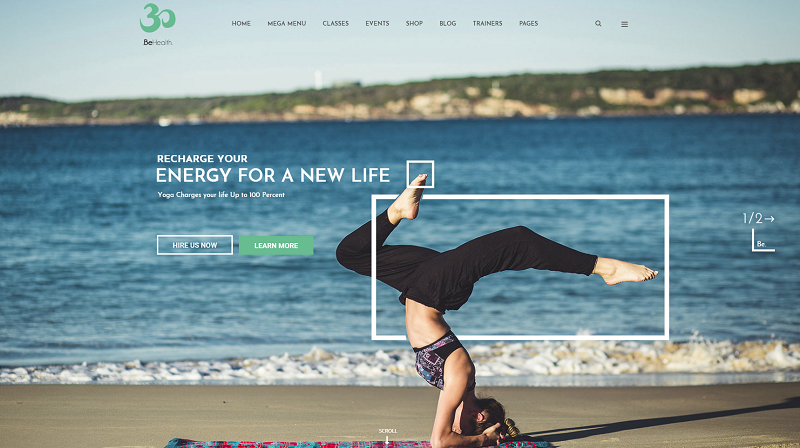 Hermosa is a beautiful Yoga WordPress theme which perfectly suits any kinds of fitness, Spa, Health & Beauty center. The catchiest feature of this theme is so much beautiful with the sophisticated design and unique elements can softly enlighten up your mind just like when you sit down and practice some yoga poses. The awesome Yoga theme includes the most powerful features that unlike any other: Super Flexible and Responsive Class Schedule, MINDBODY Compatible – powered by HealCode, Pricing Table, 5 Custom Post Types (Classes, Events, Trainers, Gallery, and Testimonial). We have gathered you amazing things in three summer topics including Planter, Organic, and Yoga center. Hopefully, you will find your need here or simply some fresh things which will inspire for your design or the expected business site. 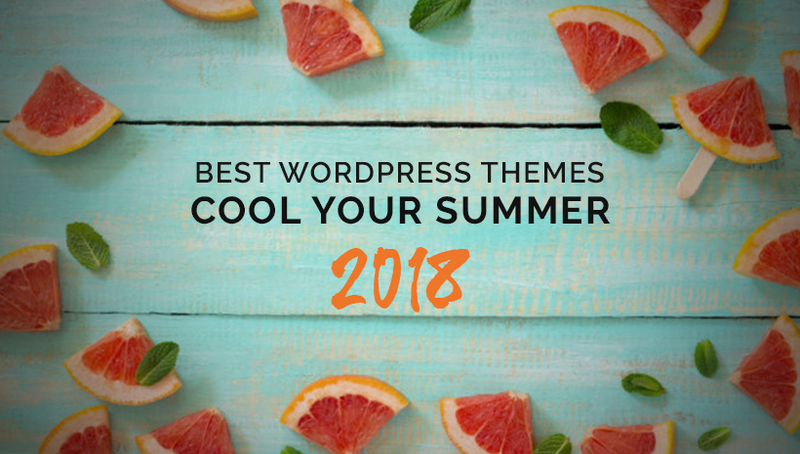 All these themes update new trends in 2018 in both web design and web development.